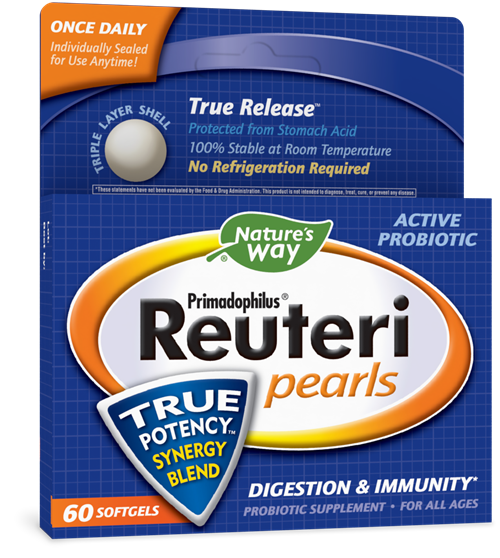 Primadophilus Reuteri Pearls / 60 Pearls - Nature's Way®. Take 1 softgel daily with or without food. Do not chew or crush. If taking any medications, consult a healthcare professional before use.